Dine in at Cafe de Coral at least once every trip. That's the compromise we agreed on every time we go to Hongkong. Scroll down to find out why. 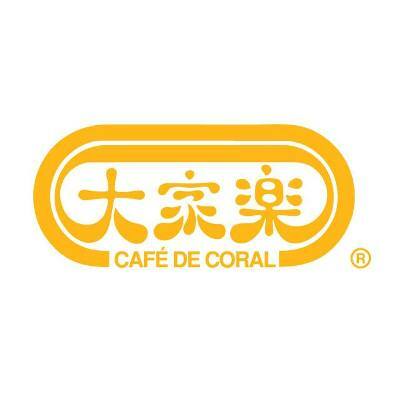 Cafe de Coral (CdC) is one of Hongkong's leading and largest fast-food chain offering Asian fusion cuisine at value for money prices. Even if you don't speak the language, most restaurants now in Hongkong like CdC are very much tourist and service oriented with an English menu and corresponding photos to help you decide which ones to order. But whenever we dine in Cafe de Coral, there's no way I'm missing out on my favorite order -- Baked Pork Chop Rice! Imagine this in front of you: Fried rice topped with thick-cut pork chop then covered with rich Italian sauce of fresh tomatoes, celery, onions, pineapple and egg served piping hot straight from the oven. May seem simple but I promise you, once you get to taste even a spoonful of this, you'll wish you can stay and live in Hongkong so you can eat this awesome dish every single day. For the refreshments, we chose Red Bean Ice (red bean, sugar syrup and milk) and Iced Lemon Tea (black tea with honey or sugar syrup and slices of lemon). Both are popular drinks among Hongkongese people next to Milk Tea which is literally found everywhere.